In the afternoon, after a hearty lunch that included Chips Ahoy (so retro), we decided to hit a couple more bends on “Farm Creek” before taking the drive down I-81 to Mossy Creek. As the suburban sprawl of Harrisonburg quickly faded away into rolling farms, vineyards and pasture, I tried to hide my nervousness and anticipation. Mossy is one of the best spring creeks on the East Coast, and has a considerable reputation as being the hardest. 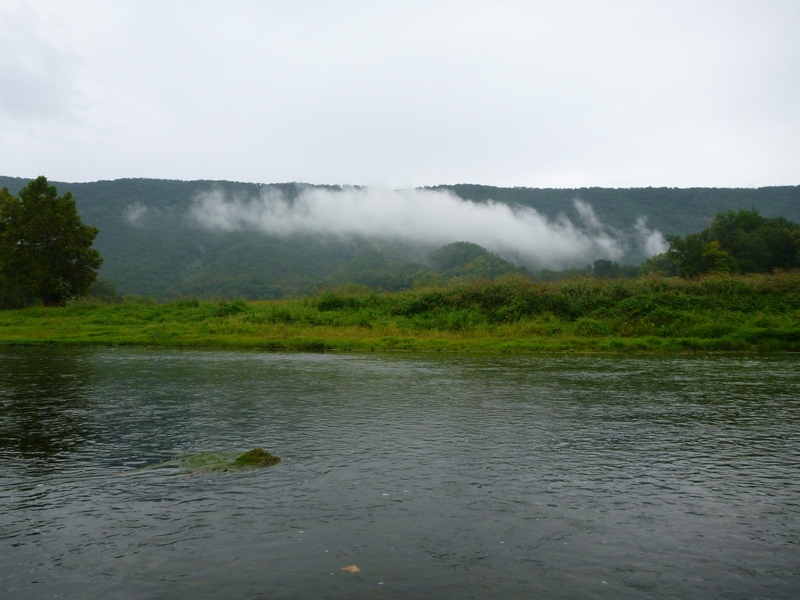 Most of the guidebooks warn away the impatient or novice angler, and our guide reminded us that Lefy Kreh called it perhaps the second most challenging river he’s fished. Frankly, I was just hoping my bro and I could get a good shot. After such a memorable morning, we were doing just fine. As we drove alongside the creek to park my heart broke a little when I saw how off-color the river was, but our guide, Jess, told us it meant we didn’t have to do the crawl to the bank. The banks were absolutely alive with crickets, hoppers and spiders. Some big brown spiders were even dashing across the creek, literally dancing on the water. Later, a huge splash indicated that not all of them made it to the other side. 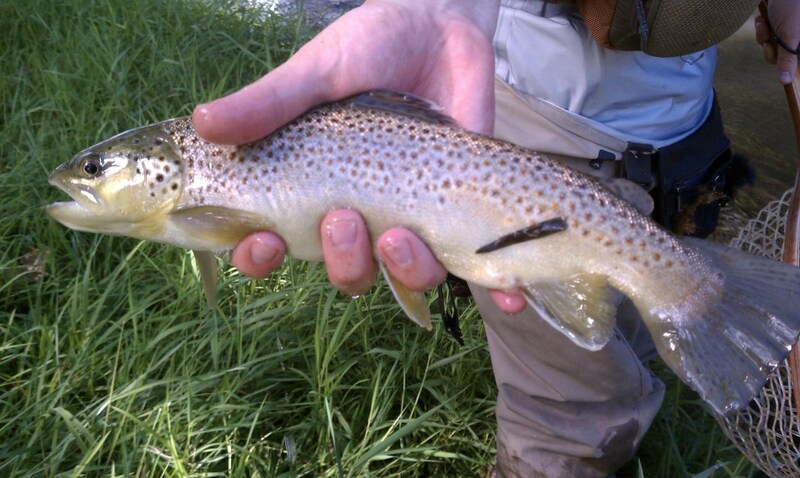 This BUG FACTORY and the constant cold water from the spring was reputed to make big trout…and it didn’t disappoint. We spread out and for the next two hours methodically cast streamers to the banks and into the pockets and channels between the weeds. 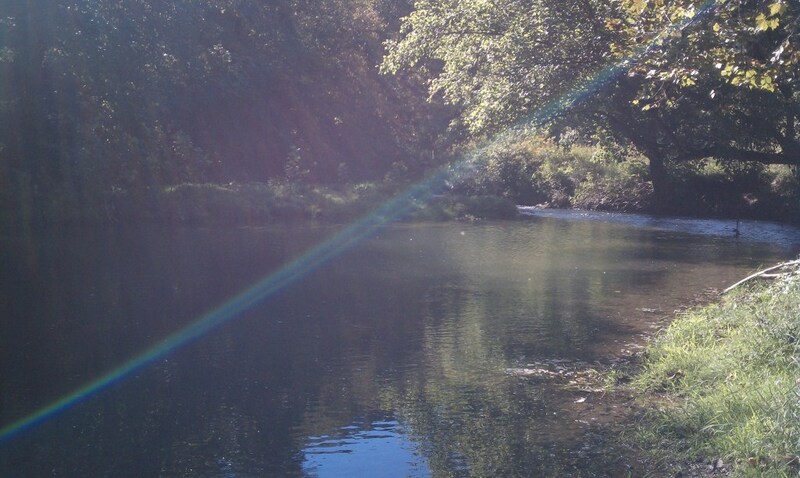 With few riffles, I was intent on casting to anything that looked fishy–that is, any change or break in the monotony of the creek, an undercut, an overhang, a log, a patch of shadow, a seam or boulder. Finally I was rewarded with a very nice rainbow. 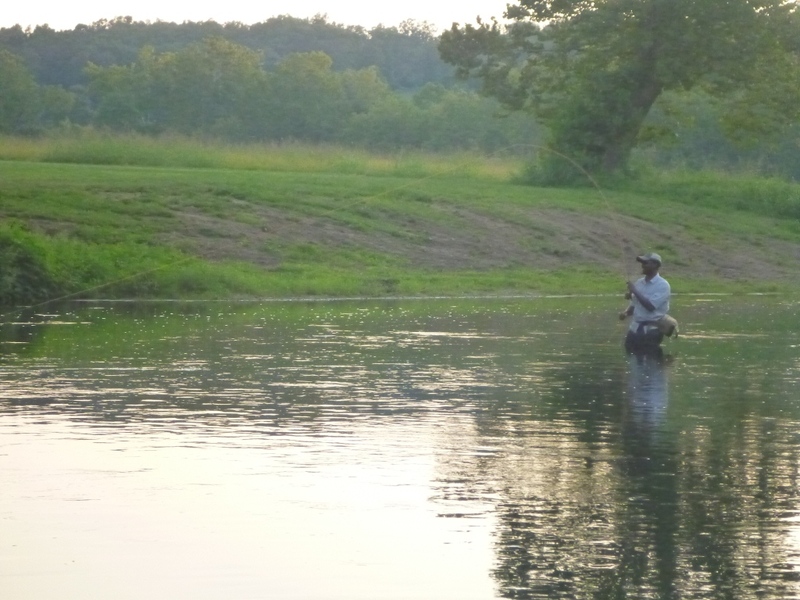 Later, just as as we were about to wrap-up, thinking it would have been his last cast, my brother hooked up with a very nice wild brown that came several feet of the bank to hit his Mossy Creek “special” rig. Huzzah! 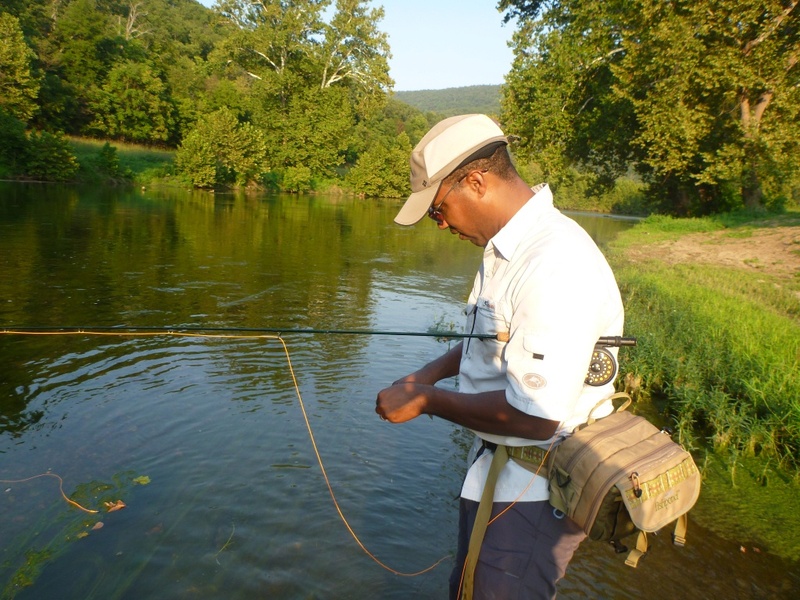 Mossy Creek Fly Fishing already provides you with detailed and useful information on their website, but on the water I was reminded that nothing beats one-on-one time and instruction. Our guide, Jess, was knowledgeable, patient and willing to let us fish our way when it was right, and providing advice when our way was wrong. Starting before dawn, we were able to get to “Farm Creek” from DC in just under X hours. Within a few minutes of meeting Jess we were set up and casting streamers into pools about fifty yards from each other. 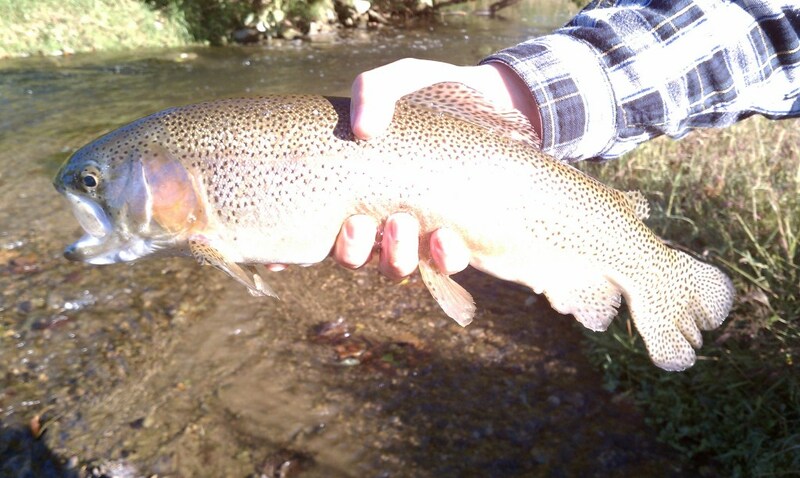 After just four or five casts my brother hooked up with his biggest rainbow ever, and it wouldn’t be his largest of the day. 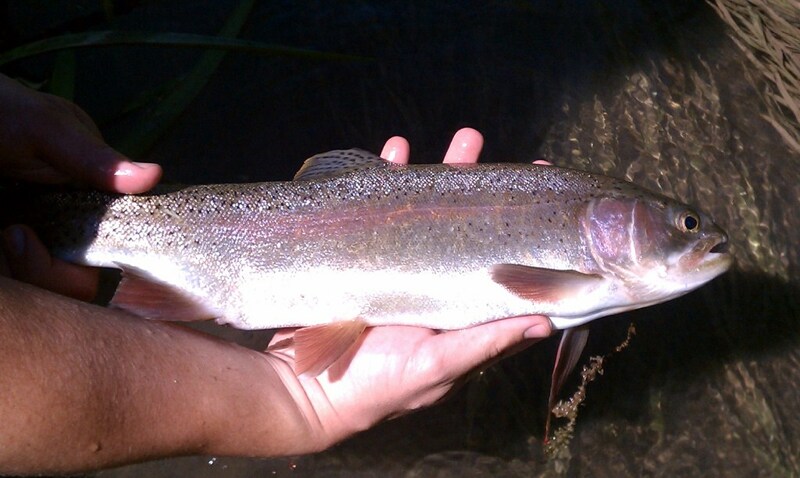 On my third cast I had my largest rainbow to date as well, and what would be the biggest of my day. I glanced at upstream at my brother who was hooked up again…and then I looked up into the bluebird morning sky and whispered a prayer of thanks. 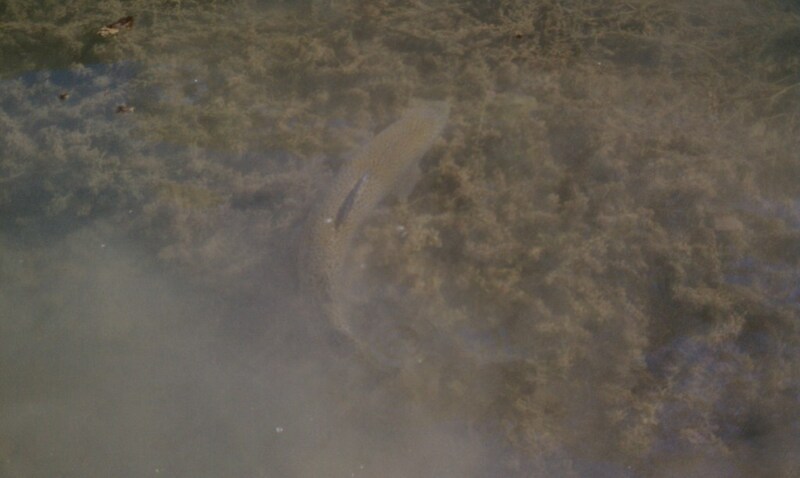 If this was the only fish we caught all day, I would be a happy man. 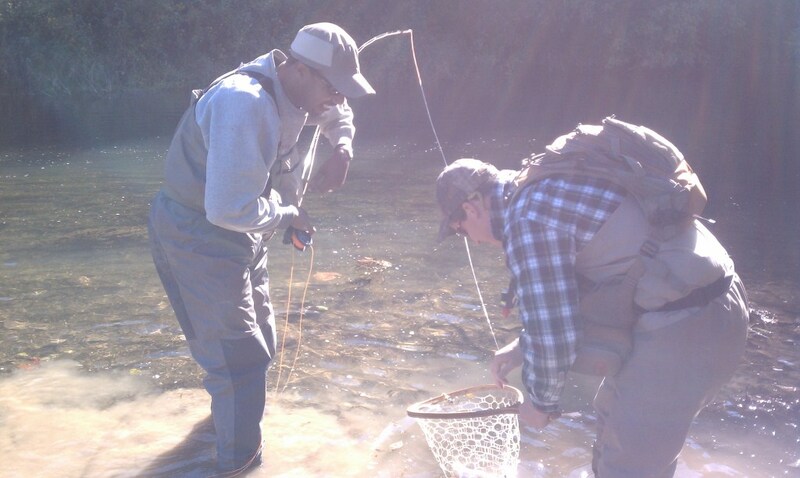 Fortunately, we had a banner morning of fishing, slowly working our way upstream casting into pools and riffles. 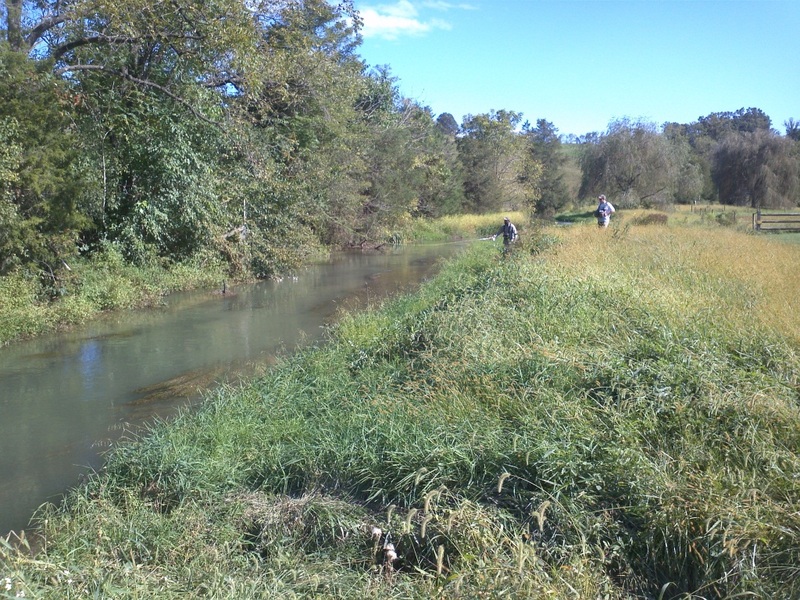 With spring creek like conditions, we had to do some crouching to fish the shallower glides, but it gave us some wonderful moments to observe fish behavior. 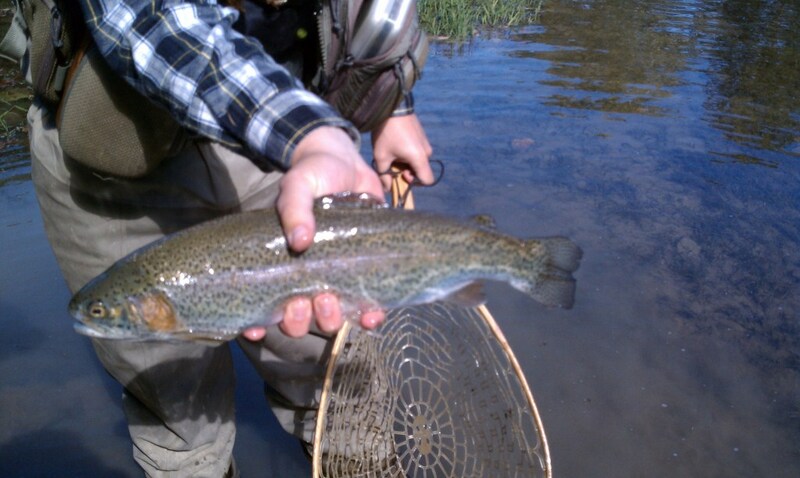 The large rainbows would jockey for position in the holding lies, chasing out the smaller trout. Jess remarked that he was worried that the cold front that passed through the night before would shut the fish down–it usually did. But in this case, it had really turned them on. Even as the sun climbed higher, the ‘bows remained active, feisty, darting in and out of the shadows. By the time we stopped for lunch, my hand was sore and my eyes were glazed over. I kept telling myself not to take a single minute for granted. And isn’t that what celebrating a birthday is all about, a time to live in the moment and give thanks for all that has come before and all that will come next? 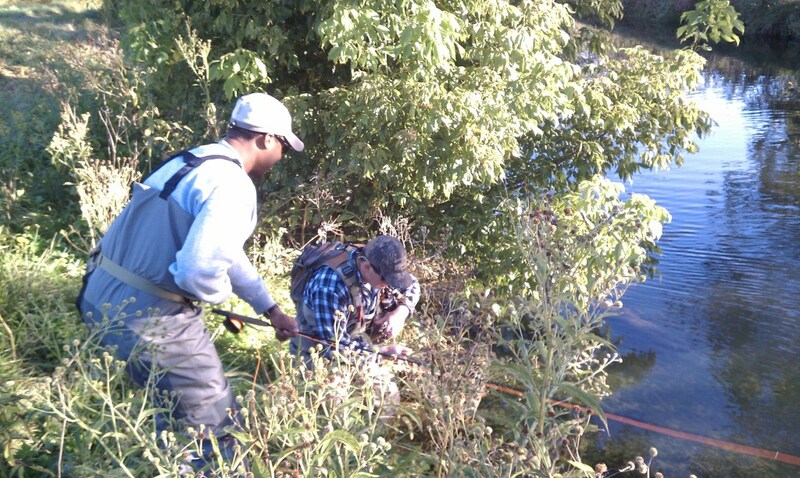 Urban fly fishing ain’t for the faint of heart. 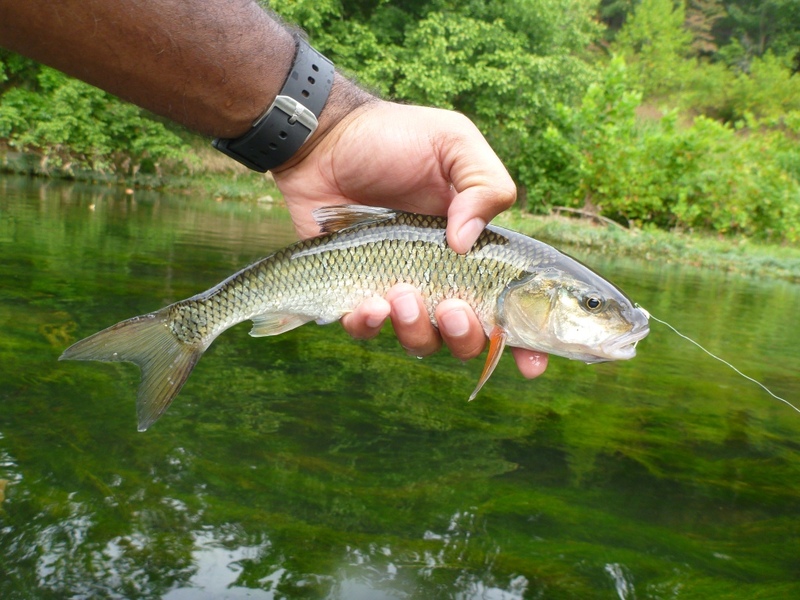 If you’re willing to hop the fence, jump the submerged shopping cart, ignore the rush of the highway just feet away and odd looks, you’ll be rewarded with the least pressured fish. I hit 4 Mile Run in Arlington a couple of weeks ago with my bro just before sunset at low tide. 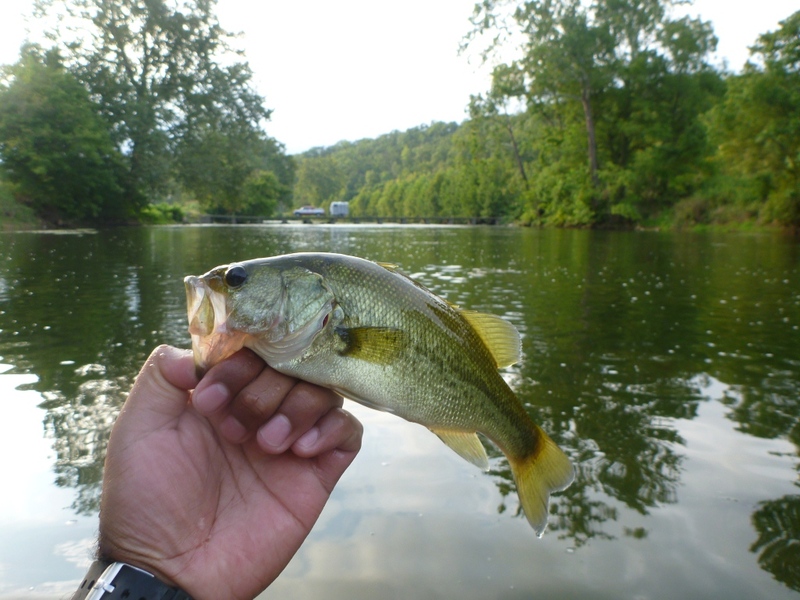 As it was our first foray, it took a minute and some advice from another angler to find the right spot, but we found we found eager bass. 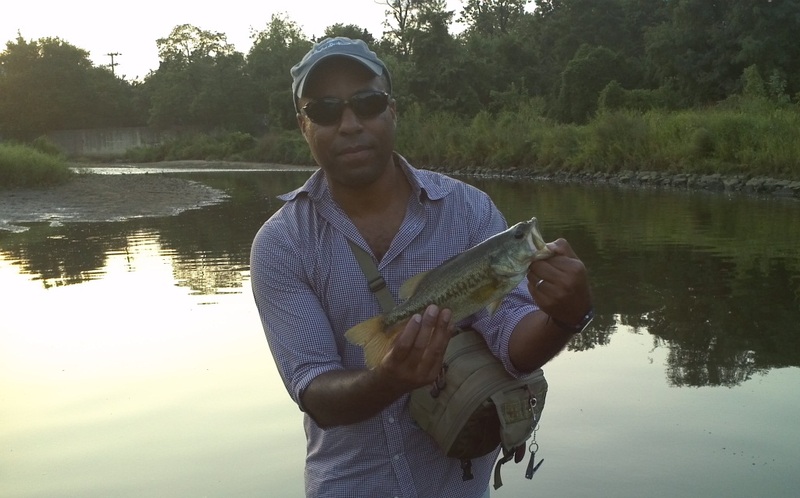 We each had about four bass and a mess of bluegill before sunset. Next up, the Fall striper bite. Apparently it takes a couple of big dips in temperature to trigger the resident stripers of the Potomac tidal basin to get really active. 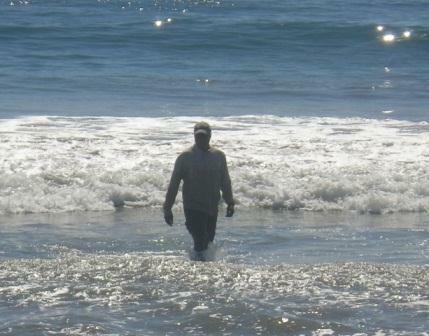 I was in LA this weekend and took a detour to the Will Rogers State Park Beach in Santa Monica. My guide Lee Baerman and I were a bit skeptical about the afternoon. The low tide was only a couple of scant hours away and it was in the middle of the afternoon on a completely clear day. Not the best conditions. Still, I had several hours to work on surf casting with a full brand-spanking new Hydros 300 grain sinking line (thanks Dan Davala of Orvis Clarendon). 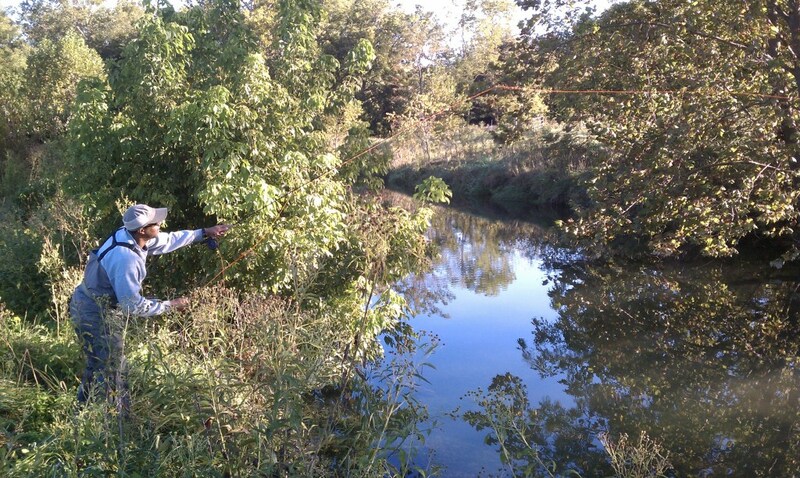 I was worried my arm would feel like lead, but Lee (a FFF certified flycasting teacher) gave me plenty of instruction. The key–waiting until just a few feet of my line was out before casting, thus, I was really casting the leader and letting the weight do the work. Next we worked on reading the waves and when to set the line down–apparently just after the set of waves filled the target zone with enough water for the fish to hunt food–and then strip, strip, strip. As the day wore on, we had bumps but few takers, just one small and feisty ray. Still the surf candy was a particularly pleasant distraction, I mean, its LA right? 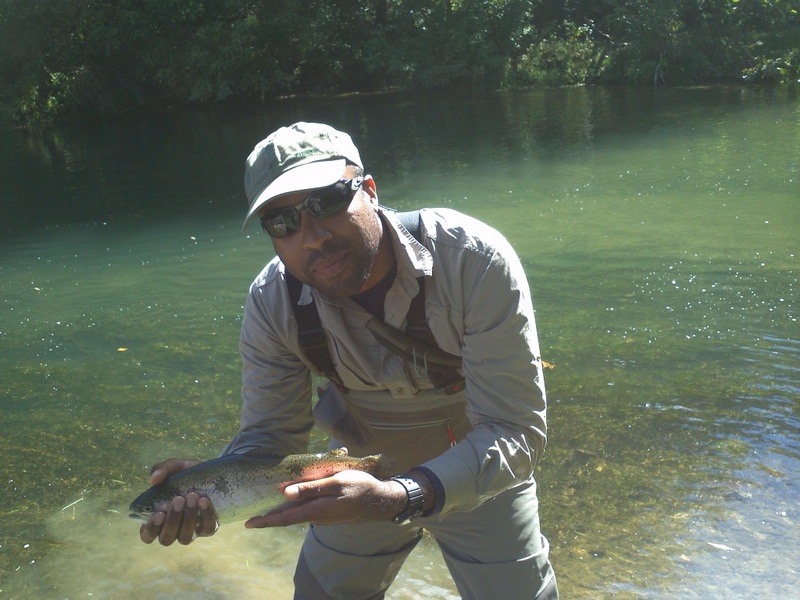 Lee quipped–where else can you fly fish and see bikini-clad beauties but the beach! Finally, after about two hours, I let loose one of my longest casts and then felt a solid hit. I strip-set the hook, and away we go! I saw the flash of brownish dorsal fin and then the fish ran, and ran, and ran. I was into my backing in just a few seconds with Lee coaching me to play the fish gently, to bob the rod to keep the fish from sucking bottom if it was a ray or pick line up if it was a shark. I gathered up line as the fish came back into the surf, and boing–he was off. Examining the leader revealed the fish and bitten clean through it. Oh the pain, the joy, the pain. It was a big fish. 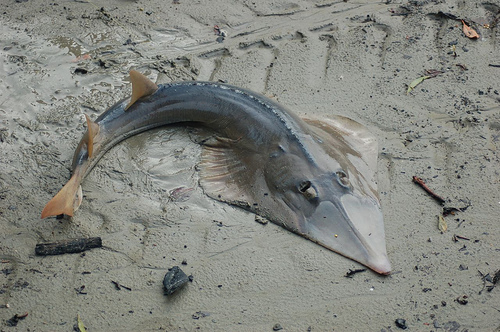 Later, we were able to surmise that it was either a shovelnose ray or a leopard shark. 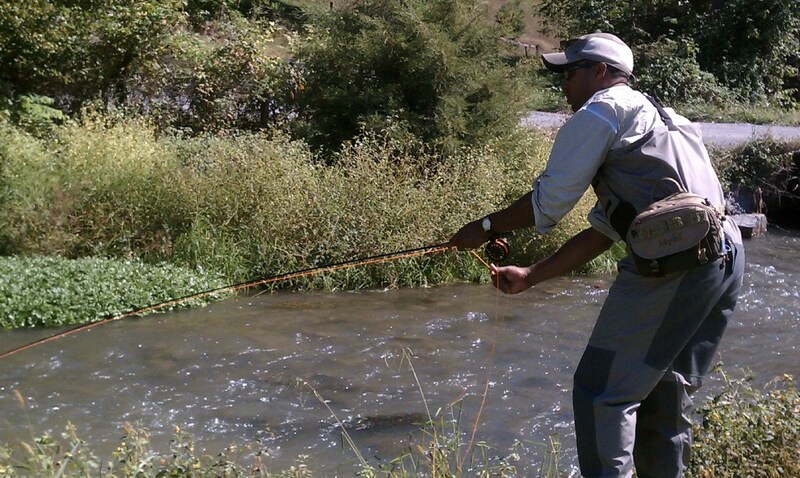 Whatever it was, it was a great fighter–I’ve never been into my backing on my 8wt. 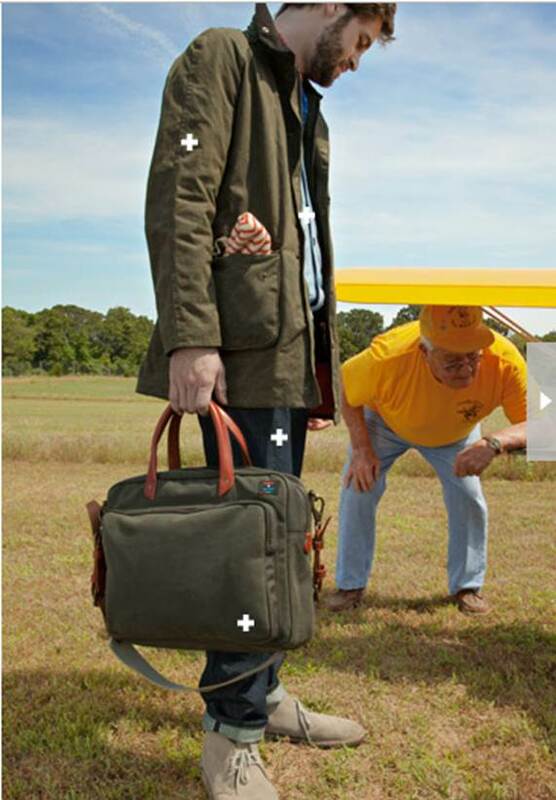 How can you recommend a guide if you haven’t caught any fish with him? Though we didn’t land anything, we had hook-ups, big ones, and the time was well-spent. 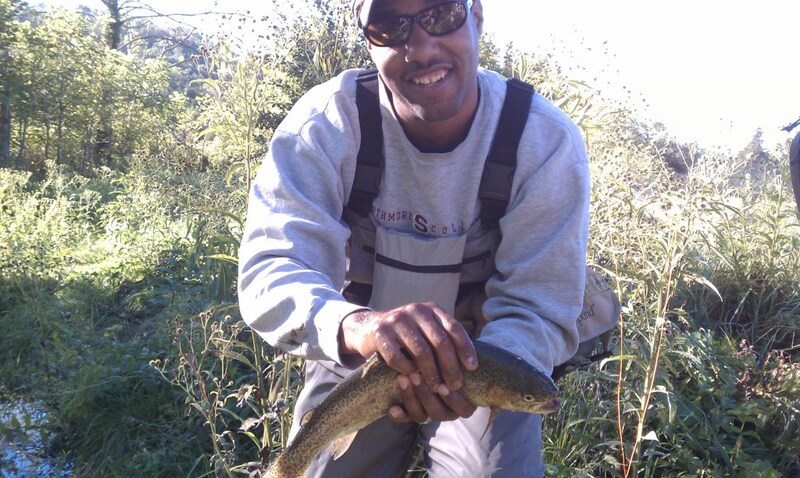 I’d give five hours of guided instruction over an hour of heavy fishing any day. Thankfully, Lee obliged. September 30th is my 38th birthday. Its also the day the current Farm Bill expires. Now, there’s a lot of reasons to try and push your local Congressman to vote to get the bill done. I like the fact that the Farm Bill also supports the SNAP program which ensures struggling Americans can feed their families. Sadly, the Senate version of the bill cuts SNAP funding (wow they’re heartless), but that’s not all that’s at stake. 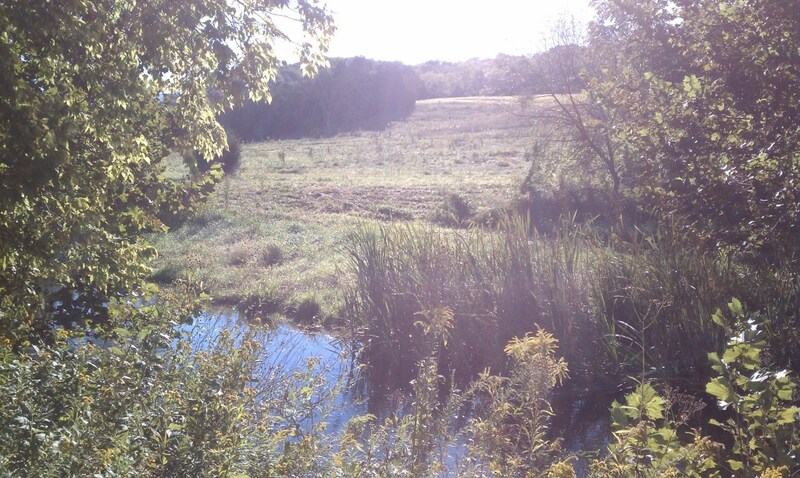 The Farm Bill also helps maintain billions in funding for environmental conservation. This ain’t just the hippie in me talking–its my inner businessman who understands our nation’s farmers, ranchers and private landowners also have a stake in protecting the environment for their employees, customers and bottomline. “In places like the Chesapeake Bay and in Montana and Wyoming, Farm Bill programs help farmers reduce their potential regulatory burden. The Chesapeake Bay watershed initiative incentivizes farmers to reduce their nitrogen runoff to improve the health of the nation’s largest estuary, and the sage grouse initiative in the Inter-Mountain West assists ranchers in keeping this iconic bird off the endangered species list. As these conservation goals are met, farmers, ranchers and landowners can focus on making a living and not on the threat of new or expanding regulations,” according to the TRCP. Here, if you won’t listen to me…how about Steven Rinella? I guess the fact that my new office is on the Potomac river is having an effect on me. I walk out for a cup of coffee and I see the river. I glance out the window during a meeting, and I see the river. And on some occasions, I see the big splashes of predators chasing gizzard shad, herring and minnows that skip across the surface. So a couple weeks ago…I finally took the short drive up to Fletcher’s Cove after work and fly fished from about 7pm til sunset. 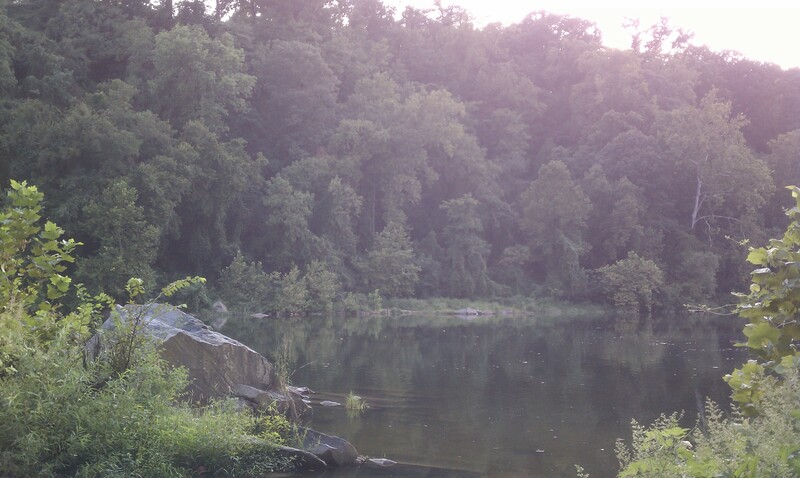 I took a long walk upstream, maybe half a mile until the trail faded away forcing me to bushwhack to rocky outcroppings. Because the tide was low and the weather hot, I waded to the farthest points where I could cast into the deepest currents with a red and white clouser. I waited upwards of a minute as the fly sunk and then started stripping it back in. I had only one major hit in two hours, but when it came, it was a slammer. 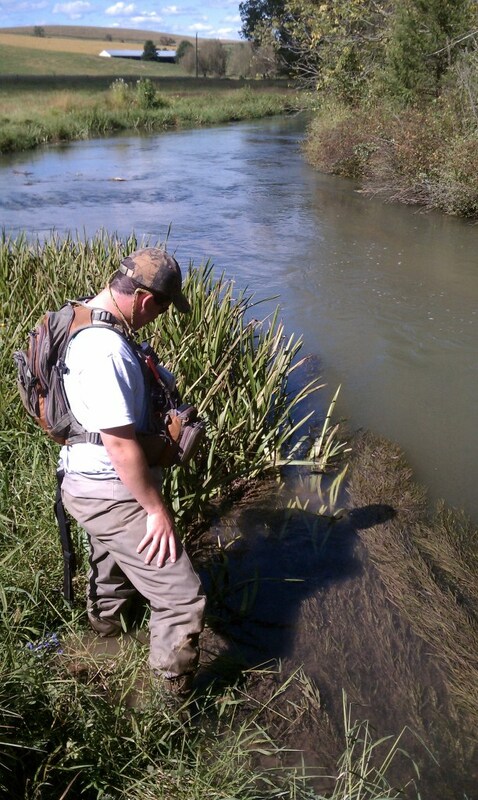 It took a moment to determine if it was a snag, but when the rod started to bounce, I got excited. I thought it was a big bluefish or a resident striper. 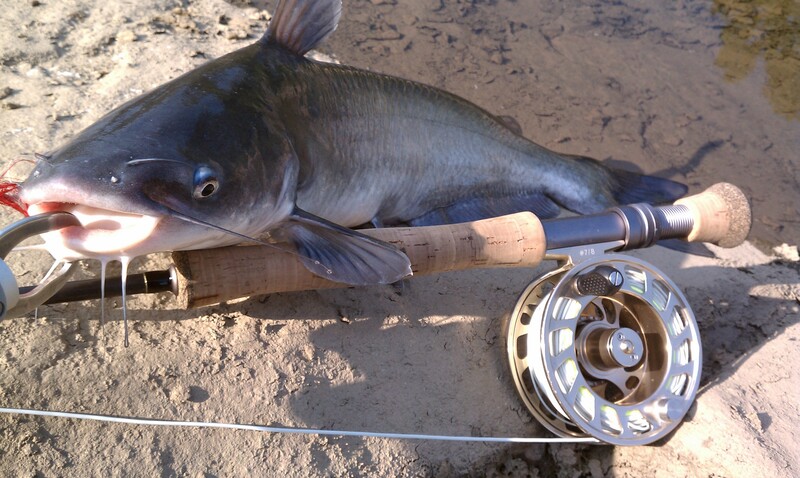 Man was I surprised by the +25″ blue cat ( Ictalurus furcatus) that bent my 8 wt rod over like a twig. My first cat, nice! I lipped him with the boga, removed the fly and sent him back on his way. I’m thinking on my next trip I’ll rent a canoe and head up even further to the falls so I can find some smallies. 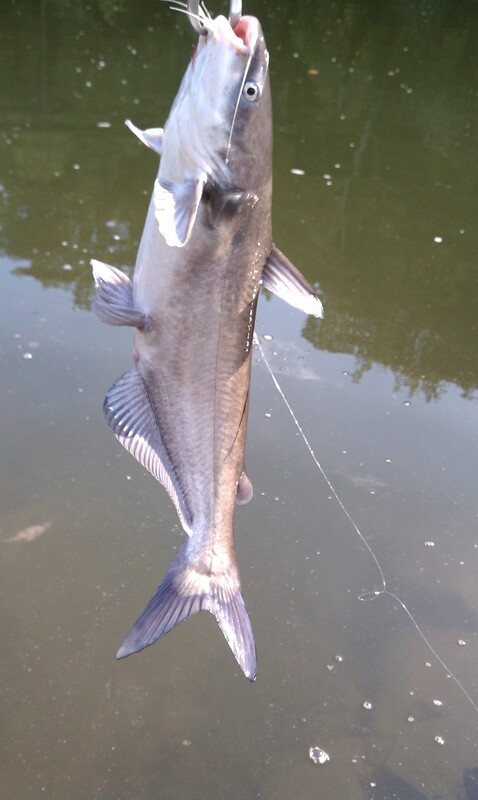 No offense to the blue catfish, of course. 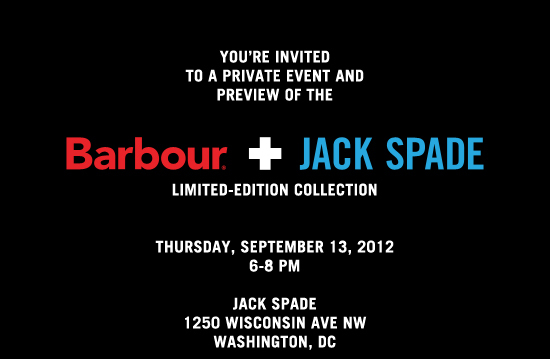 Just in time for the Fall, Jack Spade in Georgetown is about to drop the limited-edition Jack Spade X Barbour collection. If you don’t have an invite to the launch party, drop by on the 14th to cop your gear. 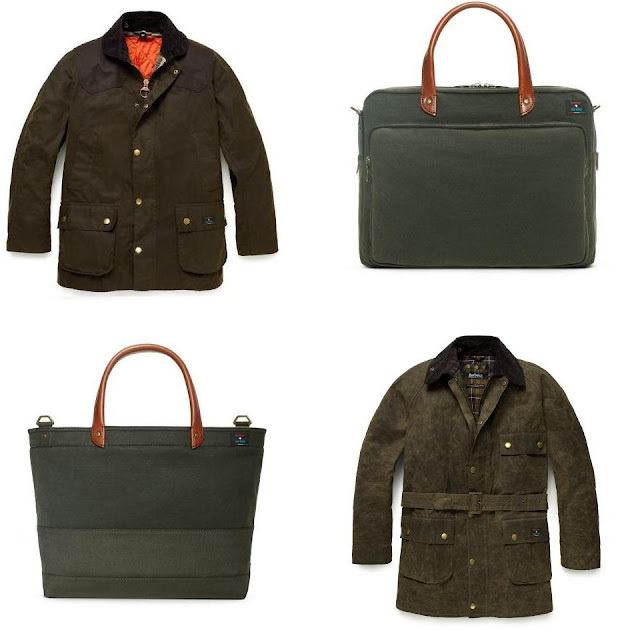 Though Andy Spade is no longer designing, the new collection has promise. 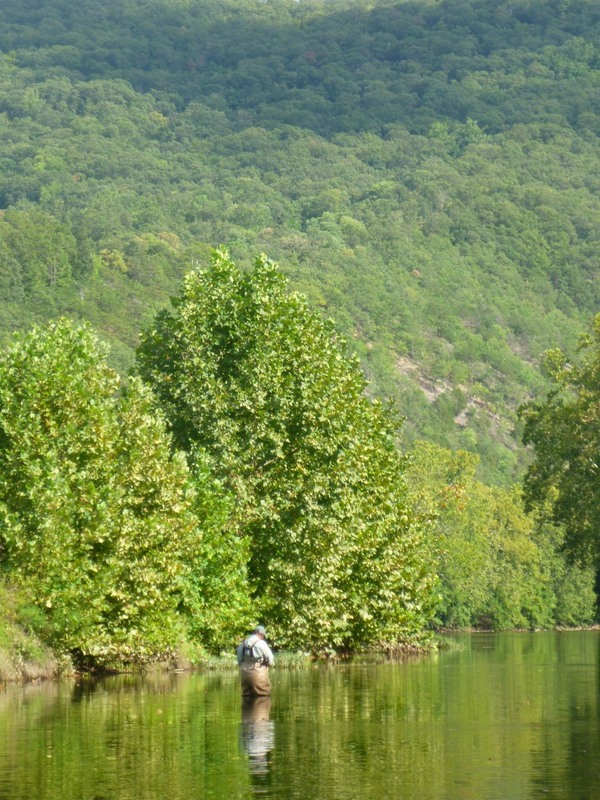 This weekend’s trip to the Shenandoah River’s North Fork is going on my top ten best fly fishing trips list. Not because of the unbelievably beautiful scenery. 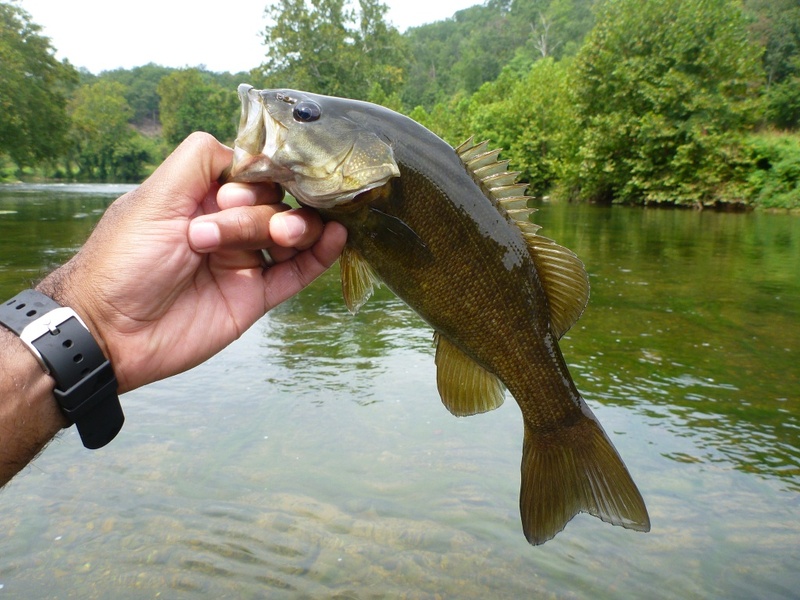 Not because of the abundance of smallmouth, fallfish and bluegill eager to take a popper. Not because the weather held for three days. 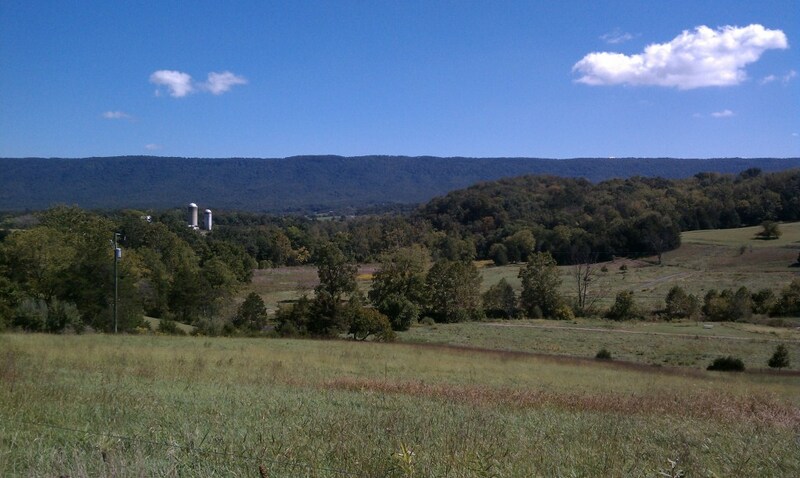 No, this trip to the Shenandoah’s North Fork was about the blessing of brotherhood. 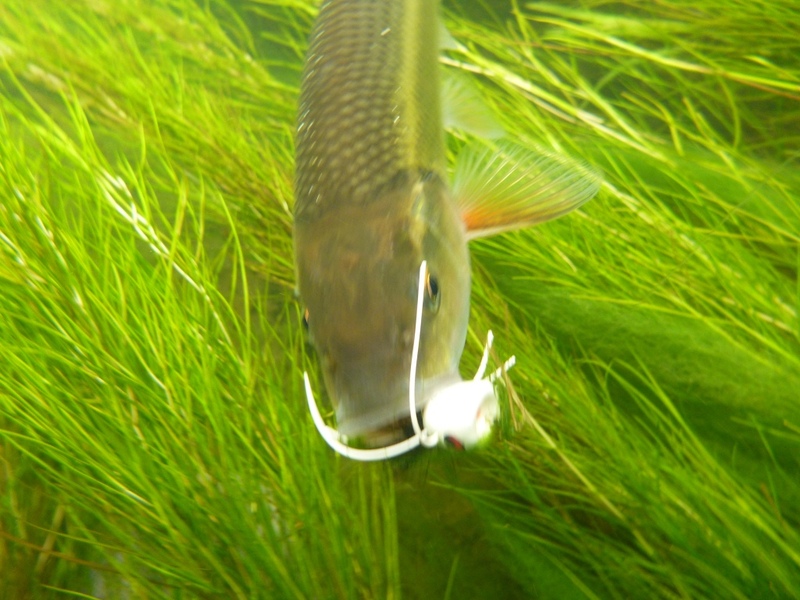 I stood in the crystal clear waters as the stargrass weaved back and forth in the current and watched the damselflies getting crushed by bluegills the size of my fist, aggressive and leaping fully out of the air. In front of me lay a great green expanse of pastureland and then abruptly, mountains covered in thick forests. The river was at the perfect flow for wading, sauntering between its banks. With me on the water were my brothers and father, Chris, Tim, Cliff and Rick. We fished the seams and fast current, the slack water and the overhangs. 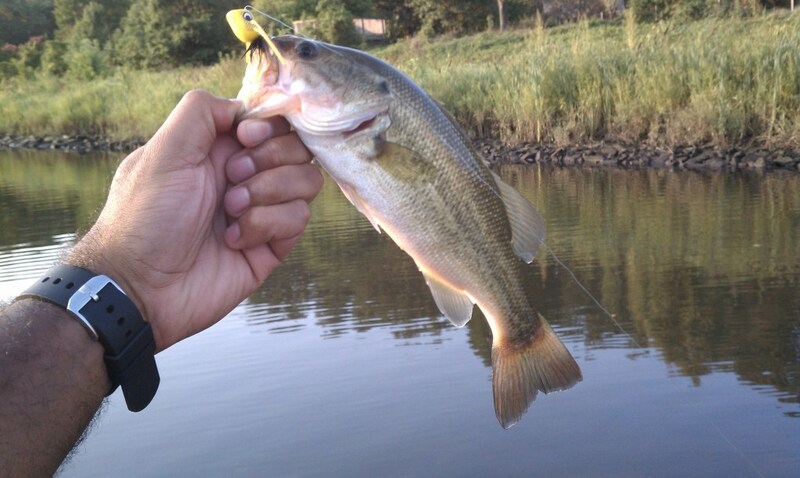 We cast poppers and roostertails, even neon green grubs. And we caught fish in honey holes that had us yelling out over a quarter mile where we were spread out, “fish on!” When we retired back to the farmhouse overlooking the river, we returned to our spouses and children with smiles and sore arms, and new memories of our time together on the water. Over the course of the next three days, we found opportunities to step away from the clamor of a boisterous laughter-filled family vacation, poker games and wrestling with the kids, to steal moments of solace in the river. Some of use cast flies, some spinnerbaits, but all of us had tight lines.